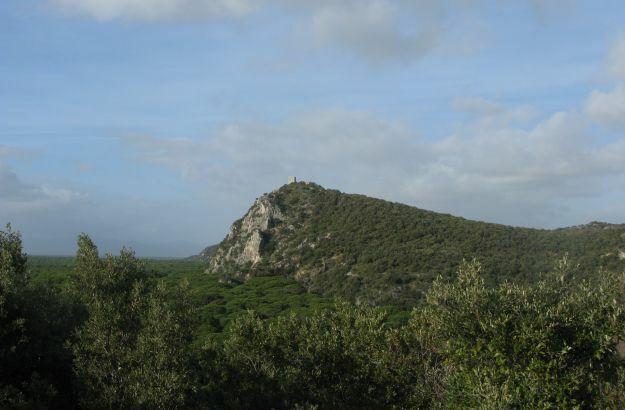 The Maremma Regional Park, also known as the Parco dell’Uccelina. The A2 trail will lead you across beautiful pinewoods and olive groves. 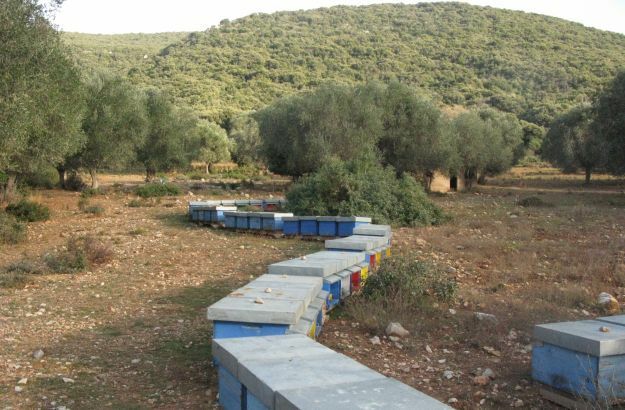 In the heart of the Maremma park: ribbons of beehives. 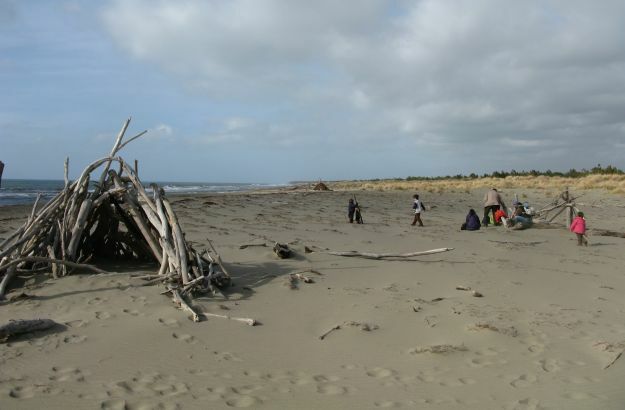 On one of the sandy beaches: a hut entirely built with driftwood. 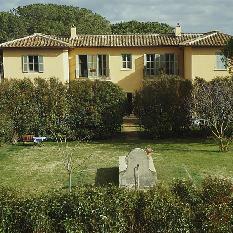 You’ll be able to quietly enjoy 9000 hectares of unspoilt nature! 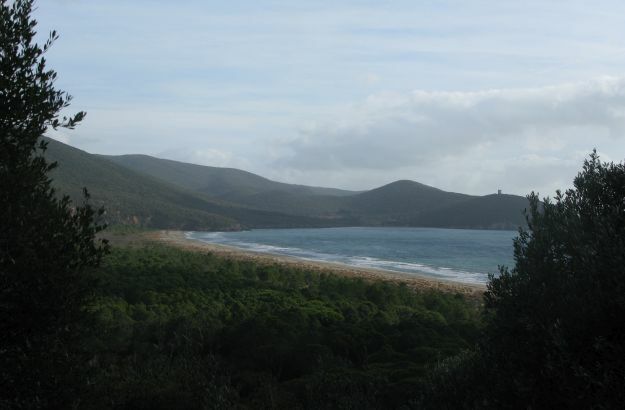 I must have told you once or twice, in previous posts, that the Maremma Regional Park in Tuscany is one of my favourite nature reserves in the whole of Italy. It is also known, by the way, as the Parco dell’Uccelina, the Park of the Moonraker – this beautiful word, “moonraker”, referring to the small sails flown at the very top of old sailing ships. Don’t ask me where this second name comes from, though; I haven’t looked into the story yet. 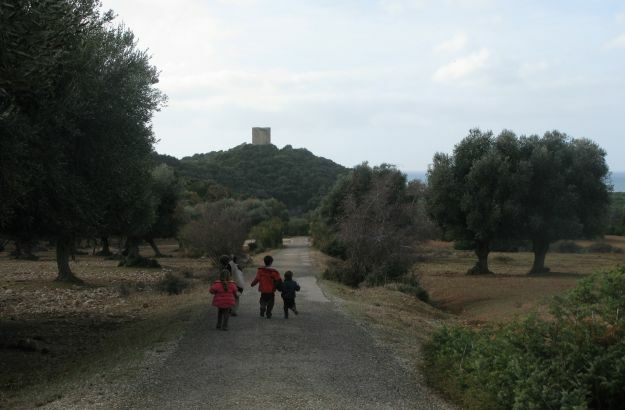 My family and I love to take long walks in the Maremma Park during the low season, that is from October to May. The temperature is mild, never too hot, and there are fewer hikers and visitors than in summertime, as you can imagine. You will have 9000 hectares of unspoilt nature almost all to yourself! 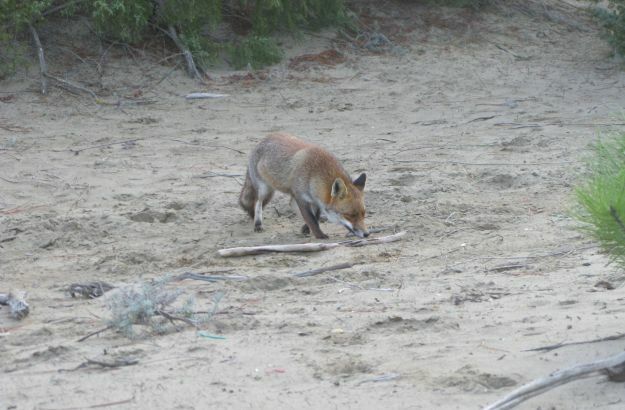 There are as many as 14 waymarked footpaths in the Maremma Park. I had promised myself several years ago to try them all, but every time we are back in the reserve, we always end up doing the same hike: the A2 trail. If you have children, I highly recommend it. Extending for some 5 kilometers, it will lead you across olive groves, fragrant pinewoods and friendly beehives; and you’ll even be able to take a pram to the sandy shores via a number of small pathways.